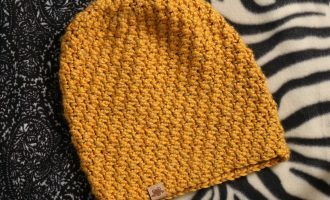 I didn’t want to spend a lot of time to make it so of course I used a large hook and thick yarn. After shopping around for handles and not finding anything that would look nice I headed to the local thrift shop. 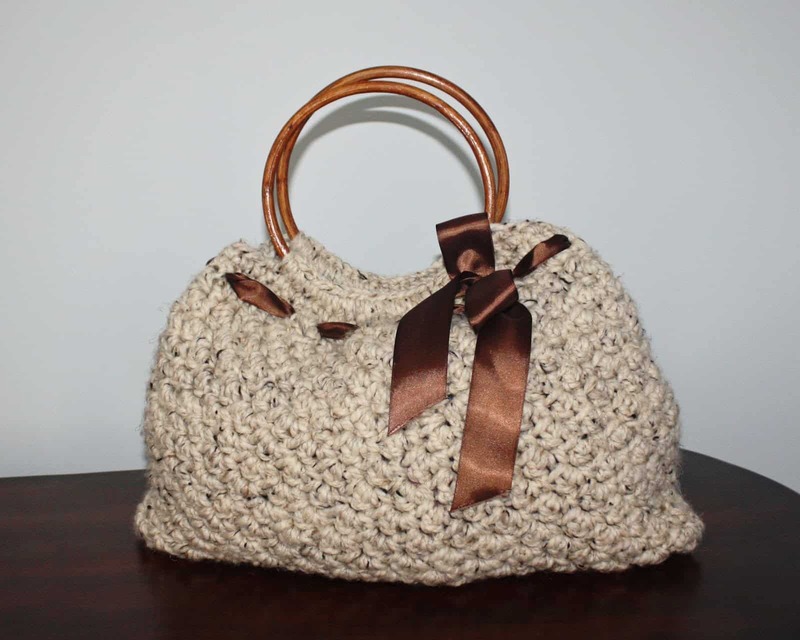 Anyway now I am offering this free crochet handbag pattern to you. I hope you really enjoy making it. Rnd 17: Hdc in 1st st and each st around, (60) fasten off and weave in ends. Working at the top of bag, join yarn with slip stitch in first stitch working left to right. Holding handle in left hand, slip hook under handle, yarn over hook and pull up a loop. 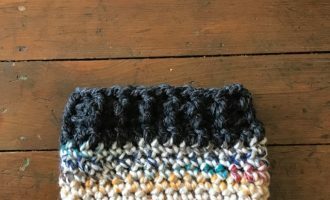 Yarn over again and pull through both loops. 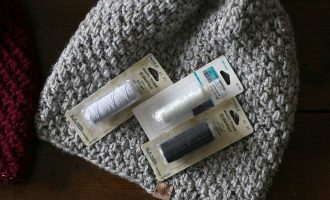 Continue all the way across, fasten off and weave in ends. Cut ribbon approximately 1 ½ meters weave through purse and tie bow. What do you mean “This will be the end you just fasten off?” Great bag! This looks so cute. I'm trying out the pattern, just started the first row.. hope mine comes out as nice as yours! Hi! 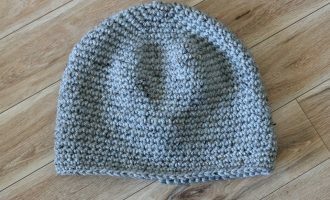 Thanks so much for the free pattern! I am excited to make one. What are the finished dimensions? Thank you!